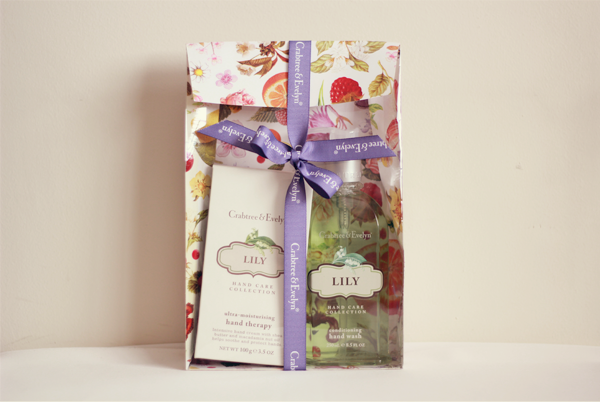 Sometime in June, I received Crabtree & Evelyn's Lily Conditioning Hand Wash. This is one of the 8 new conditioning hand washes that the brand's launching this month. 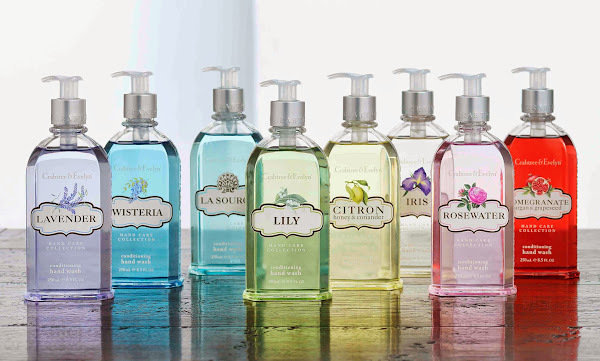 Drawing on its hand-care expertise, Crabtree & Evelyn has created hand washes that bathe our hands in luxurious hydration. Each comes infused with a delightful and delicate floral fragrance and complements the award-winning Ultra-Moisturizing Hand Therapy. Together as a couple, they give us hands that are soft, clean and beautiful. 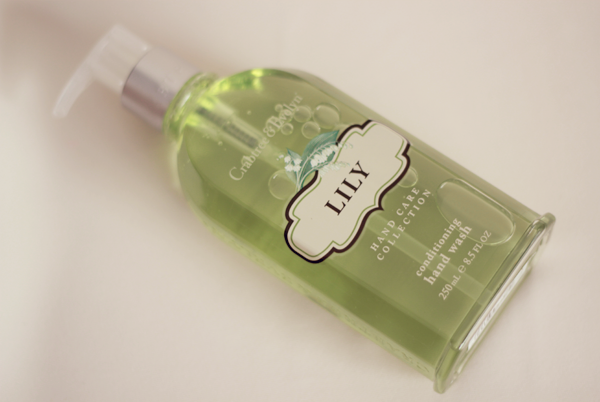 The Lily Conditioning Hand Wash is housed in a sturdy 250ml bottle. 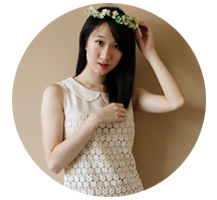 It has a very light floral scent that's refreshing and lingers just for a bit. 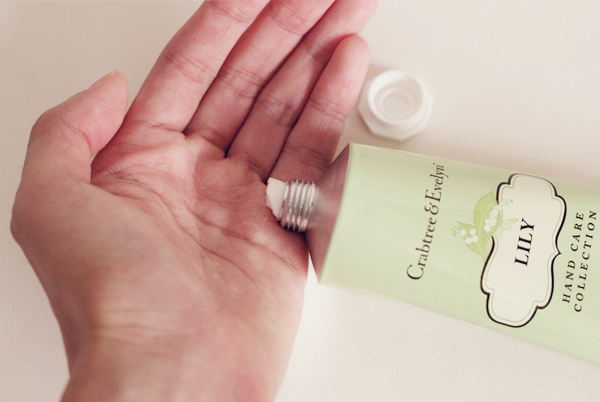 Lathering easily, it leaves my hands smooth and feeling oh-so-soft. I don't think I have ever used a hand wash like that before. I usually just use something that's from the drugstores but now, I see the 'light'. I especially like the fact that it is formulated without parabens, propylene glycol, phthalate and mineral oil. 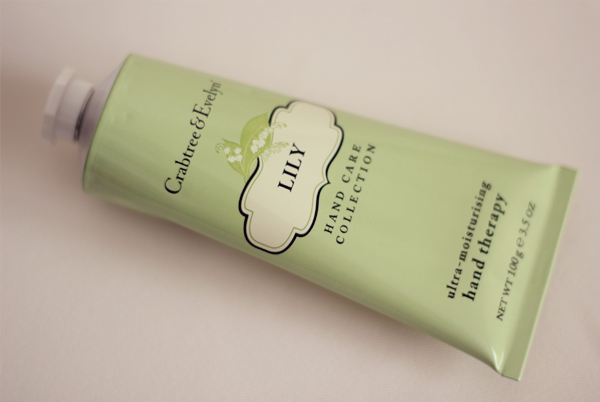 Complementing the hand wash is the Lily Ultra-Moisturizing Hand Therapy in 100g. The sister loves this range of hand moisturizers to bits and so do many people... And it's not the least bit surprising. Creamy and very conditioning, this moisturizer is formulated with shea butter, lily of the valley extract, macadamia nut oil and myrrh to work magic on our hands, cuticles and nails. I have palms that are temperamental; sometimes they get rained on by sweat glands (I know, not pretty at all. Sigh.) and sometimes they are parched like the desert ground. When the latter happens, they drink up the moisturizer like hungry dire wolves (Yes, an indication that I'm a tad into 'Game of Thrones'.) and become plump with hydration. The lines on my hands are less obvious and they look smoother and younger. I'm really glad I got a set of these during last year's Christmas! Looks so interesting to try out!